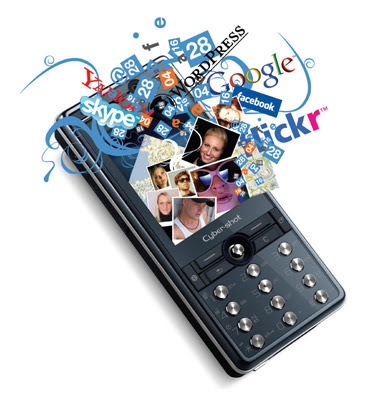 Young Asians prefer to access social networking sites via the handset rather than the PC, says IDC. More than 50% of Chinese, Indian, Korean and Thai users go onto social media sites via the mobile phone at least once a week, it found in a survey. In China and Thailand markets, 62% and 65% of users respectively use their handsets for alerts, messages, status updates or to upload photos. The survey covered 1400 SNS users aged 18-35 in Australia, India, China, Korea, Philippines, Singapore and Thailand. By contrast, Australia and Singapore see the lowest percentage of mobile SNS access, with 19% and 25% respectively. The reasons for the differing approaches vary across the region, said Debbie Swee, market analyst for IDC Asia-Pacific emerging technologies research. In emerging markets, the dominance of cellphones over PCs is the major factor. In Korea, however, the market is technologically advanced and has already seen mass adoption of mobile internet. In Australia and Singapore, the dominance of the PC for broadband access meant “strong inertia” against adopting regular mobile access of SNSs. The survey found that the biggest push towards mobile adoption was cheaper and affordable mobile data pricing. Most users who had never logged in to SNSs through a mobile phone cited hefty mobile internet, SMS or MMS tariffs as the main obstacle. For mobile operators in China, India and Thailand, IDC believes a low flat-rate internet access fee would complement and increase mobile SNS adoption. In Australia, Korea and Singapore, where data tariffs were already relatively low, operators needed to correct users’ misconceptions about high pricing.